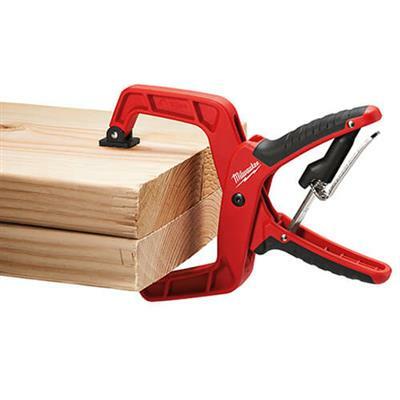 Milwaukee® +STOP LOCK™ Hand Clamps wont back off material once the clamp force is applied. The non-ratcheting HEX release mechanism offers easy one-handed release and maximum staying power. 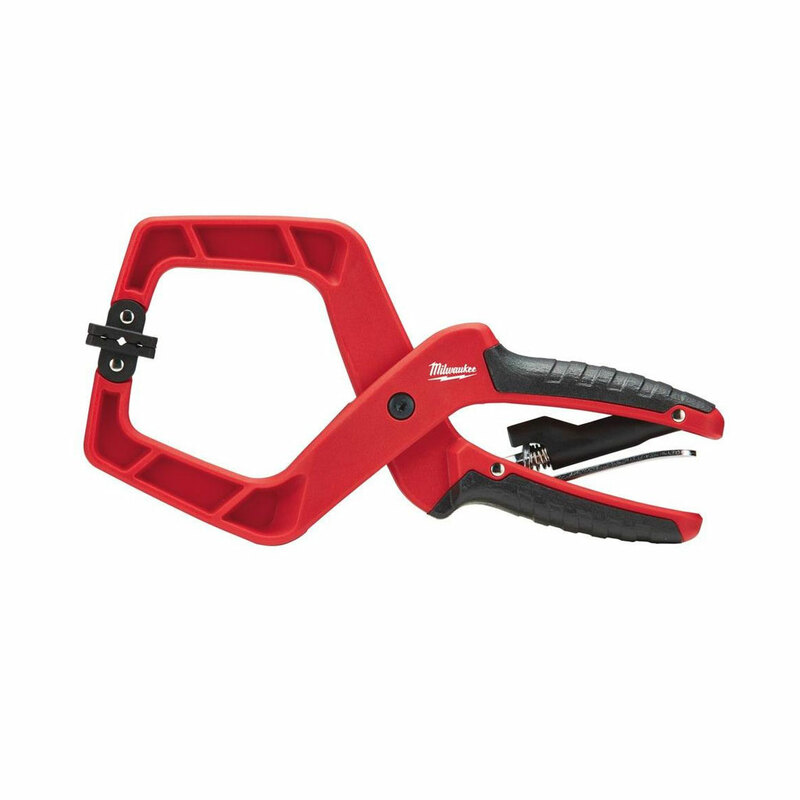 Built with engineered polymer pads Milwaukee Hand Clamps provide a secure hold on a variety of jobsite surfaces. 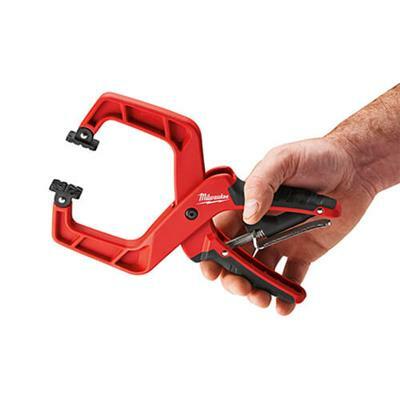 The ergonomic anti-pinch handles provide a non slip grip surface for maximum comfort and superior performance.